As I was trying to organize my storage space, I came across boxes of books from college. I read a ton of education-related books while I was at Emmanuel College… some required, but most I just found really interesting. 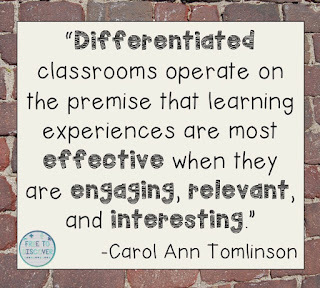 I remember learning about differentiated education for the first time in Dr. Merritt’s course and I became so in love with the idea I read everything I could get my hands on. 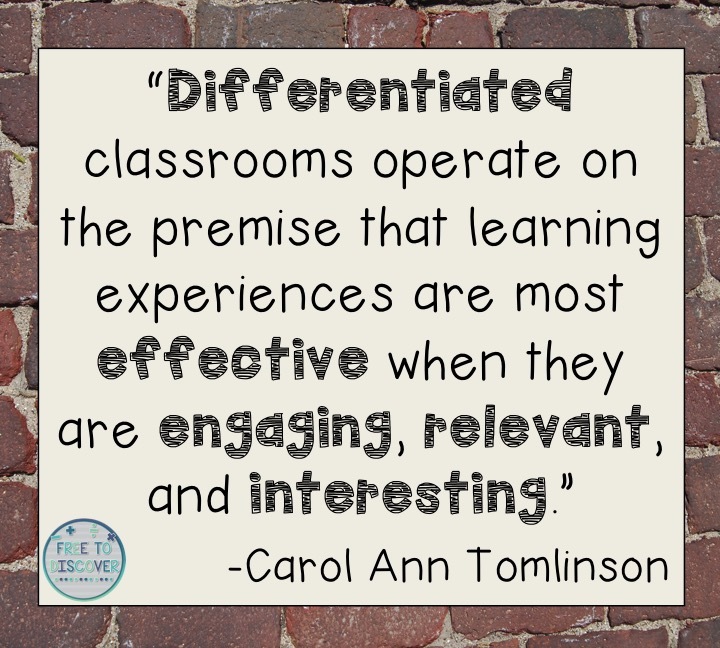 The best resource I have come across for an introduction to differentiation is Carol Ann Tomlinson’s How to Differentiate Instruction in Mixed-Ability Classrooms. It’s an excellent quick read and a great place to begin! According to Tomlinson, there are three different reasons to differentiate for students: readiness, interest, and learning profile (2001). Readiness refers to the level a student is working at on a particular topic. Differentiating based on interest often involves choice so that students can demonstrate their knowledge by doing something that they love. And learning profile refers to the way in which students prefer to intake information. Have you ever noticed that there are rarely examples of differentiation in books and articles that can actually apply to math? Ugh. So frustrating when you’re getting started! 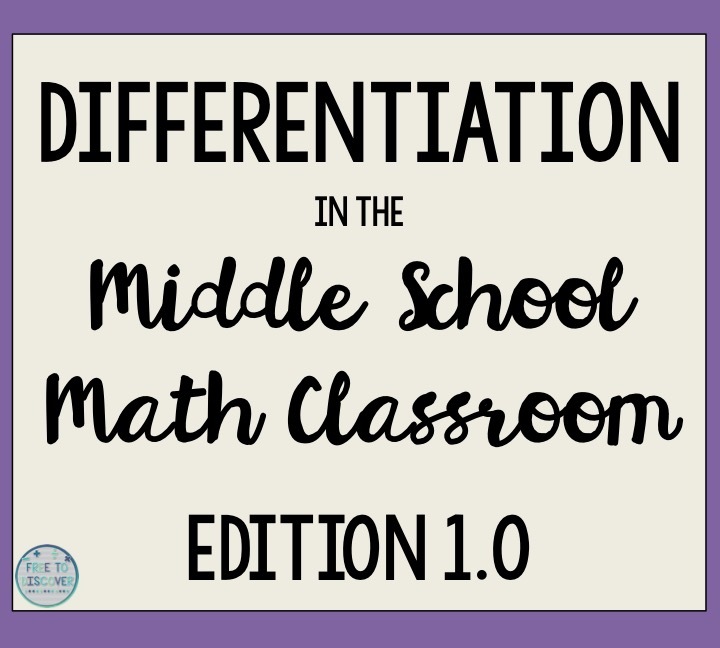 Today I’ll provide a super brief introduction, but be sure to follow these posts so that you can get specific and realistic strategies to implement in your middle or high school classroom this year! Whenever you’re taking on something new in the classroom, it’s a good idea to take one step at a time. Starting with learning profile can mean engaging in effective practices like presenting material in an auditory manner with visuals and a hands-on component. 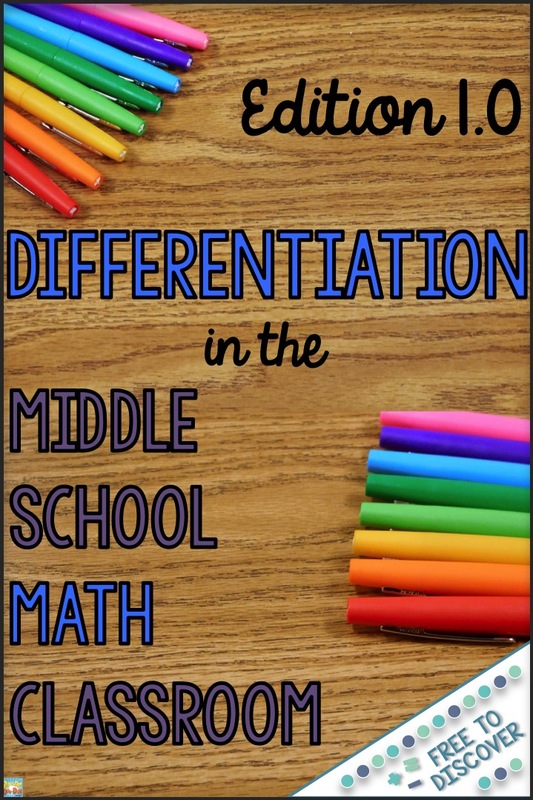 By doing this you are meeting the needs of many students, which is what differentiation is all about. Differentiating by interest can be achieved by offering choices. As students wrap up their study of solving linear equations, I always end the unit with a differentiated project. Students are given 6 choices of assignments and are able to choose which one they like the best. When I created this project, I tried to base the choices on Gardner’s multiple intelligences. Students could take on a challenging open-ended math problem, write a song or poem, reflect on their learning, and demonstrate their knowledge in any way, really. Note: This project was always completed in conjuncture with a unit test. Then, of course, there’s readiness. This is something I consider everyday when planning my lessons. Phase One: Plan the main lesson and create or find any resources needed. Phase Two: Think about your struggling learners and make any modifications needed to help these students achieve success. Phase Three: Consider your high-flyers and early-finishers. What else can they do to be challenged? I have SO much more to share, but I’ll save some more for next time. Remember to take one step at a time and start by differentiating one lesson, project, homework assignment, etc. Be sure you have subscribed to my blog so that you don’t miss a thing! Tomlinson, C. A. (2001). 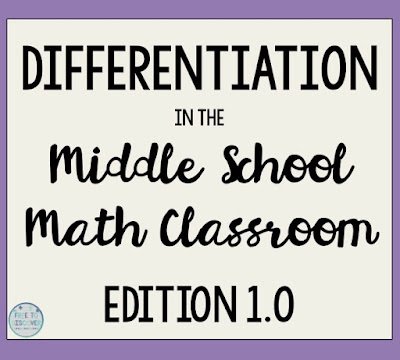 How to Differentiate Instruction in Mixed-Ability Classrooms. 2nd Edition. Association for Supervision and Curriculum Development. *Quote from page 5 of text. Follow the rest of the series!